The Sinn EZM 7 Series is designed for firefighting operations, and although Sinn realizes that most owners of this watch will (hopefully) never fight fires, it's designed to be one tough watch. This limited edition of 300 pieces adds a fully Tegimented black PVD case to the Sinn EZM 7 creating what we feel is an even more iconic look. 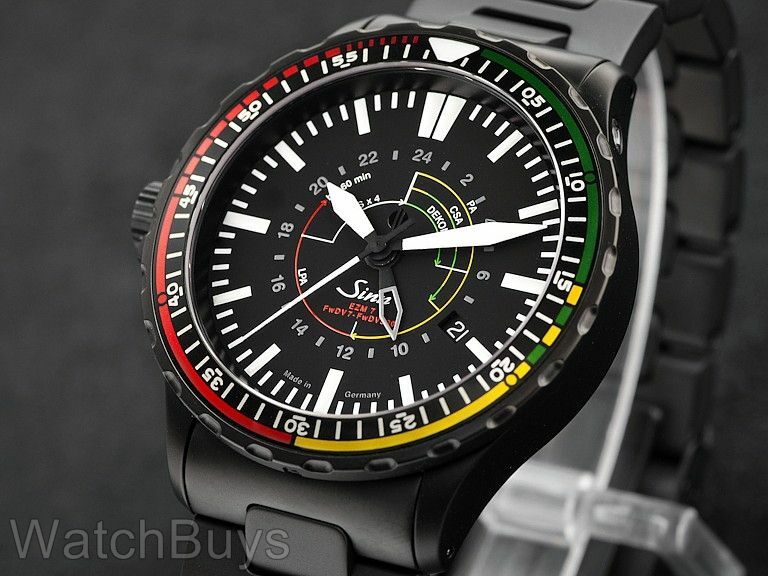 This watch takes its inspiration from the now retired Sinn EZM 4, which was the first watch that the company designed specifically for timing firefighting and rescue missions. That watch, along with the Sinn EZM 1 are among the most collectible watches released by Sinn. 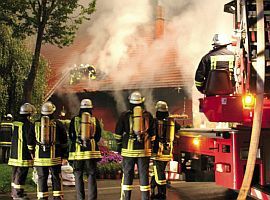 The Mission Timer (EZM) 7 Firefighter Black with its color-coded bezel is easy to operate, making it simple for personnel using breathing protection apparatus to set and read off the relevant durations – from CSA to LPA. The screwed bezel can even be set when wearing gloves as with Sinn's U Diving Series. The Sinn EZM 7 Firefighter Black has been designed for use in the most difficult conditions – it is especially resilient to the penetration of water and dust, to scratches, changes of temperature and the influence of magnetic forces. The case is fully Tegimented with black PVD. Other features include a sapphire crystal glass with anti-reflective coating on both sides and luminous indices to ensure optimum readability by day or night. This watch is also ideal for heavy duty use by fire department or rescue services. The case back is nickel free, perfect for those with allergic reactions to case metals. Other features include protection from magnetic fields of up to 80,000 A/m and a copper sulphate capsule to keep the movement free of humidity. This watch has a second time zone displayed by a skeleton white tipped hour hand. The second time zone can be set directly through the second position of the crown and uses a 24 hour indication to differentiate AM and PM. Sand-blasted stainless steel case with solid back. Dial is matte black with Arabic numerals and offset date display at 4. The rotating bezel and dial are elaborately marked with colors and scales to measure elapsed time. This watch ships with a Sinn stainless steel Tegimented black PVD bracelet with hex screws and solid end links.